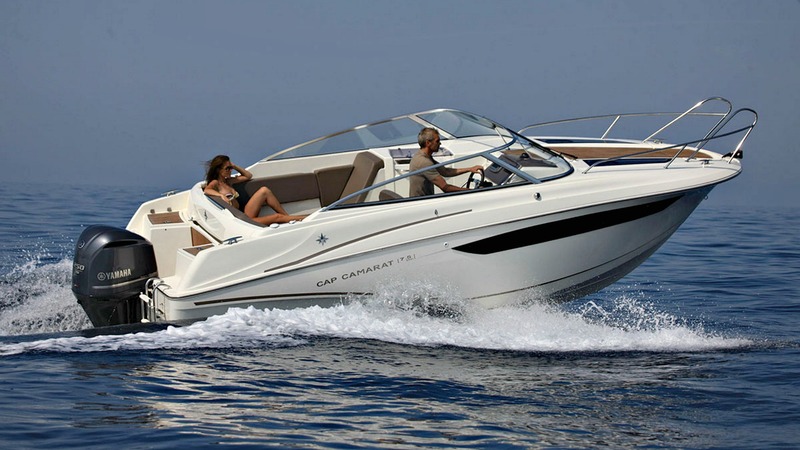 Powered by a 250HP Four Stroke Outboard, this Jeanneau Cap Camarat 7.5 DC is a highly modular family boat with sleek contemporary lines that strike exactly the right balance between style, comfort and safety. In terms of comfort, the large sofa and sunbathing platform make the cockpit a real open air saloon. A galley, built-in sprayhood and one of the most luxurious driving positions in the market underline the extreme levels of onboard comfort offered by this model. Inside, the new Cap Camarat 7.5 DC is all about ingenuity and modularity. The saloon converts to a double bed, with a third berth and separate private WC. We offer an all-inclusive package with the following features included as standard. Trim level premiere to include two opening deck hatches and a fresh water system for the sink, tap and cockpit shower. Where appropriate, trailers can be supplied. Please consult your dealer. All prices are inclusive of delivery, pre delivery, shipping and government charges. 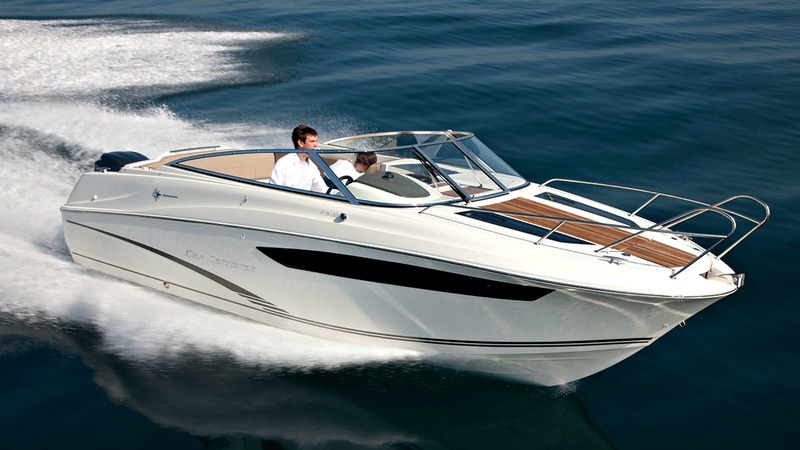 Other factory and local options are available on request, please call us to discuss your personal boating needs. 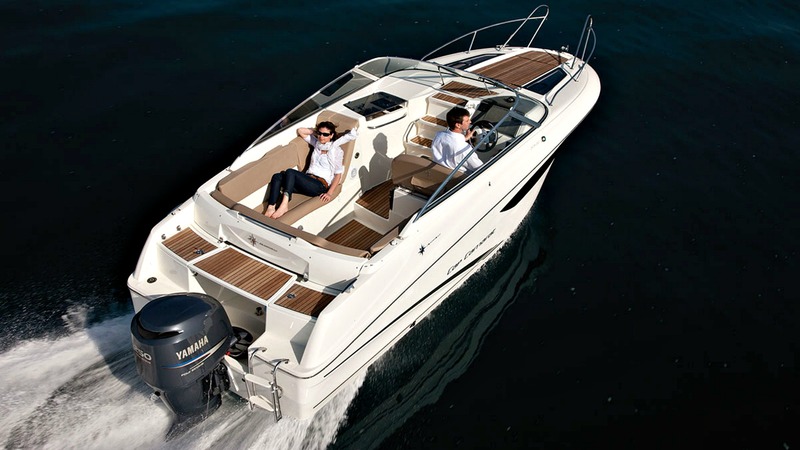 We are the NSW and QLD importers for the Jeanneau range with offices in Sydney, Port Stephens and the Gold Coast.